An excerpt from Holocaust Memory in the Digital Age by Jeffrey Shandler, published by Stanford University Press in August 2017. Reproduced by permission. 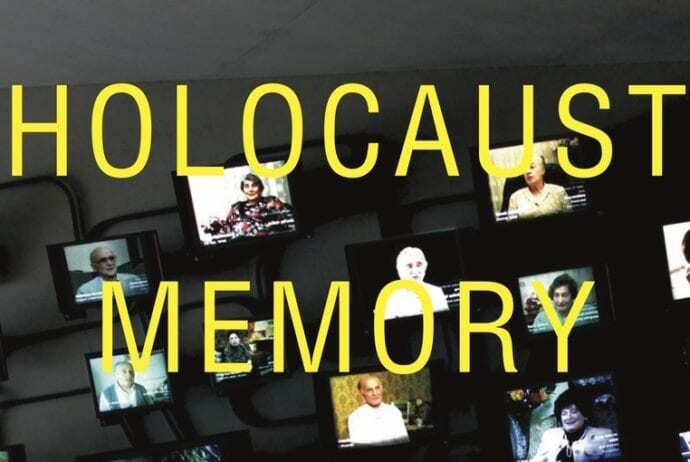 Holocaust Memory in the Digital Age examines the University of Southern California Shoah Foundation Institute’s Visual History Archive (VHA), the largest and most widely available collection of video interviews with Holocaust survivors. Created in the mid-1990s, the Archive’s extensive holdings are accessed online through an elaborate index and search mechanism, making for an especially complex imbrication of new media and memory practices. The VHA is both an important resource for learning about Holocaust memory and a significant work of Holocaust remembrance in itself. Created at a threshold moment both for Holocaust memory, as survivors were aging, and for new media, with the emergence of digital technologies, the VHA exemplifies the cultural possibilities and challenges now being addressed in digital humanities. 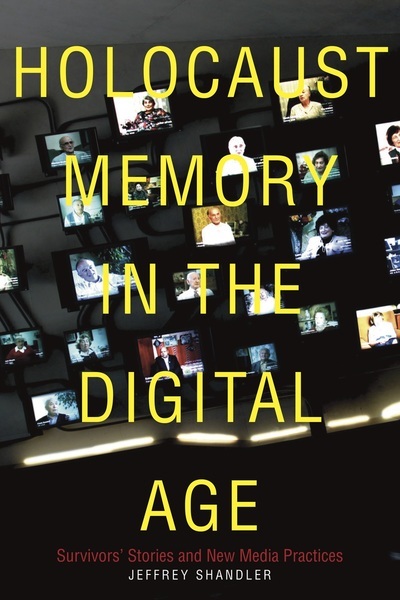 This book examines the VHA by first situating it in a complex of contexts (Jewish ethnography, late twentieth-century public memory practices, the advent of digital media) and then probing the Archive’s holdings, reading it “against the grain” through a series of case studies that focus on issues of Holocaust remembrance beyond the VHA’s mission. One of these case studies examines the visual element of these videos, revealed in exceptional moments when Jewish survivors display Christian religious objects. Most of items were acquired during the war, when the interviewees were concealing their Jewish identity by passing as Christians. The displays of these objects disrupt the VHA’s austere visual aesthetic of “talking heads” by conjoining the iconography of material evidence with religiously inspired moral exhortation. Among the many different kinds of objects that Jewish Holocaust survivors chose to include in their videos are a small number of items that the VHA index identifies as “Christian religious objects,” appearing in twenty-two interviews. Survivors usually acquired these crucifixes, rosaries, saints’ medals, and similar items as part of efforts to pass as Christians during the war. Displayed in the context of an interview with a Jewish survivor, these are inherently provocative objects. Their presence among the survivor’s collection of personal artifacts prompts an accounting of their place in a “Jewish” life history. Consequently, these items sometimes engender complex narratives of survivors’ relationships with individual Christians or with Christianity in general, both during the war and, in some cases, afterwards, continuing up to the time of the interview. Where survivors locate Christian religious objects when organizing material to be photographed informs their significance within the implicit narratives of these sequences. Survivors sometimes place Christian religious objects immediately before or after other objects related to their efforts to pass as Christians, such as wartime photographs of themselves wearing crosses or participating in Christian rituals. In Maurice Elbaum’s video the scapular he wore during the early 1940s precedes a photograph of himself taken at the time. He explains that he then wore a hairnet at night to straighten his curly hair, intimating that doing so was also part of concealing his Jewishness. Next comes a photocopy of his wartime Arbeitskarte (German government-issued work permit), which identifies Elbaum as Ignacz Dzikowski, a Pole. This set of three items, together with their narrative, documents Elbaum’s efforts to pass as a Christian, the external emblems of his disguise—a religious amulet, an ethnic Polish name—in tension with his Jewish physiognomy. 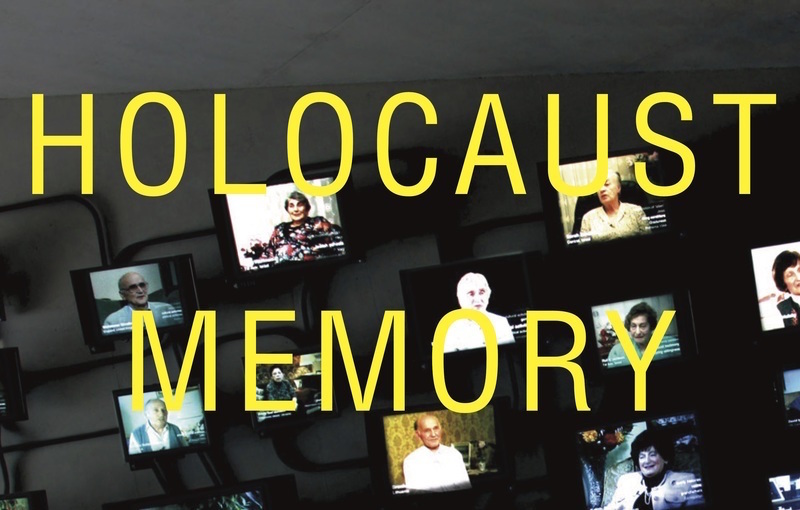 Other survivors’ videos position religious articles adjacent to photographs of the Christians who hid the survivors or helped them disguise their Jewishness, thereby acknowledging the agency of their protectors. Then the generals walked through the whole line, looking at faces, is there any Jew who didn’t step out. I bent down (he lowers his head) and I fixed my shoe, that they shouldn’t see my face. And here (he indicates with his fingers alongside his neck) was hanging the rosary. [As] soon [as] they saw the rosary, they even didn’t touch me, they didn’t look at me, and that’s the way this rosary saved my life. And I have it ’til today. And I told my wife, “When the time comes, this rosary you will have to put in my grave.” She says she will be ashamed of it. I say, “Why should you be ashamed of it? This rosary saved my life. I wouldn’t be here to be your husband and have children and grandchildren.” . . . And I still have it here, which I would like to show it. . . . I would like to have it on the camera. Turkell’s request is soon fulfilled; at the beginning of the next videotape, Margolis asks him to return to the story about the rosary and to display it. Turkell already has the rosary in his hands; he holds it up before his face and speaks: “Please—this was my lifesaver. This what I keep ’til today, until I die, I want this to go with me.” The camera pulls back in order to show more of the rosary, which hangs down to Turkell’s mid-torso. He retells, more concisely, the story of how Szedlecki gave him the rosary just before the Jewish soldiers were selected for execution. All the while, Turkell holds up the rosary with both hands, as if he were about to put it on. Turkell concludes the narrative by adding, “And with this rosary I went through the whole war.” Then Margolis tells him to put down the rosary so that they can continue with the interview. Turkell conveys his profound sense of indebtedness to the rosary—and the man who gave it to him—through a compelling, thrice-told narrative as well as his insistence on displaying the rosary. He voices this desire the first time he relates the story, after being forbidden to interrupt the interview to get the rosary. During this first telling, Turkell invokes the rosary’s presence through gestures that mime its placement around his neck at the crucial, lifesaving moment. Following a break between videotapes, now with the rosary in his hands, Turkell tells the story of his rescue a second time. He does not reenact donning the rosary this time but holds it up, so as to have it on camera and to have it seen with him, parallel to his wish to be buried with the rosary. Finally, when the rosary is displayed by itself, Turkell recalls, more briefly than before but as passionately, the incident when he received it from Szedlecki, whom he names each time the story is told. The spectacle in these three tellings of the same story changes from the rosary’s absence to Turkell’s absence. This shift, though it is serendipitous, becomes significant for viewing the narrative as a whole. At the center of this dynamic is the rosary’s role as disguise, concealing Turkell’s Jewishness and replacing his face, which, he implies, might give him away as a Jew. The telling of the story—without and then with the appearance of the rosary; with and then without Turkell’s presence on screen—evokes the rosary’s double role of saving and obscuring a Jew. Though Turkell repeats some information in all three tellings, each one also offers different details. In his final account, as the camera offers a close-up of the crucifix, he first mentions “the Lord Jesus Christ”—a provocative locution for East European Jews, who traditionally avoided uttering Jesus’s name, let alone acknowledging his divinity. Yet Turkell’s oblique validation of the Crucifixion—and his forthright affirmation of the rosary as the instrument of his rescue by a Polish Christian—contrasts sharply with what ensues and concludes the video. The shot of the rosary is followed by a final image: a color photograph of Turkell standing before a sign marking the entrance to Stopnica, his hometown, taken when he visited Poland in the 1980s. He remarks bitterly: “There was no [Jewish] cemetery, no synagogue, everything was thrown down by the Polacks. That’s what I couldn’t believe, as I lived between people, and a lot of them were just animals, murderers.” The double-edged story of Turkell’s rescue parallels the ambivalence with which he ends the video, recalling Poles variously as rescuers and persecutors. The VHA also indexes under a separate search term seventy-six interviews in which survivors display baptismal certificates. Sophie Billys, VHA Interview Code (hereafter, IC) 10850, segment (hereafter, seg.) 112; Eugene Winnik, IC 2746, seg. 100; Susanne Cohn, IC 9317, seg. 262; Esther Rosman, IC 14218, seg. 165. Maurice Elbaum, IC 9317, seg. 108. Sara Kaye, IC 23573, seg. 112; John Koenigsberg, IC 29548, seg. 70; Eugene Winnik, seg. 100. Daisy Shapiro-Rieke, IC 48028, seg. 18. Sonia Liberman, IC 2530, seg. 176. Leo Turkell, IC 41507, segs. 16-19. Jeffrey Shandler is Professor of Jewish Studies at Rutgers University. His previous books include While America Watches: Televising the Holocaust (Oxford University Press, 1999); Adventures in Yiddishland: Postvernacular Language and Culture (University of California Press, 2005), a study of contemporary Yiddish culture; Jews, God, and Videotape: Religion and Media in America (New York University Press, 2009), which analyzes the impact of new communications technologies and media practices on American Jews’ religious life, from early recordings of cantorial music to hasidic outreach on the Internet; and Shtetl: A Vernacular Intellectual History (Rutgers University Press, 2014), an examination of how Jewish life in East European provincial towns has become the subject of extensive creativity, memory, and scholarship, from the early modern era to the present. Among other books, Shandler is the editor of Awakening Lives: Autobiographies of Jewish Youth in Poland before the Holocaust (Yale University Press, 2002) and co-editor of Entertaining America: Jews, Movies, and Broadcasting (Princeton University Press, 2003) and Anne Frank Unbound: Media, Imagination, Memory (Indiana University Press, 2012). Shandler has served as president of the Association for Jewish Studies and is a fellow of the American Academy for Jewish Research. From 2003 to 2009, he and Barbara Kirshenblatt-Gimblett co-convened the working group on Jews, Media, and Religion at NYU’s Center for Religion and Media.